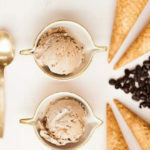 The third of five BARTable Staycation Giveaway packages (valued at $1070) is offering up some serious freebies and spending money. And what better way to pay it forward on this awesome prize pack, than by supporting local businesses? 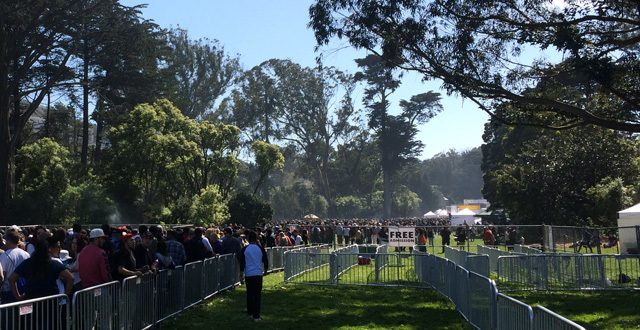 So put on some comfy walking shoes and get ready to head out on this BART-friendly adventure. 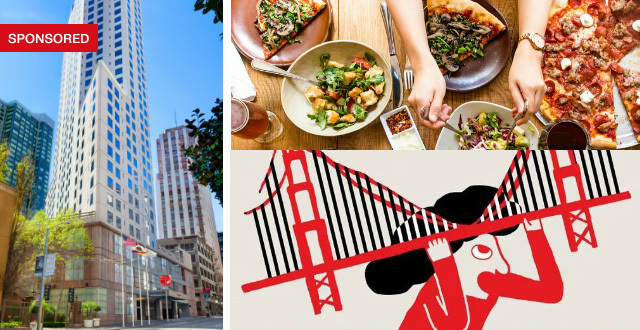 It’s time to dine, shop and explore some of the one-of-a-kind establishments that add to the many reasons why San Francisco remains a top tourist destination. 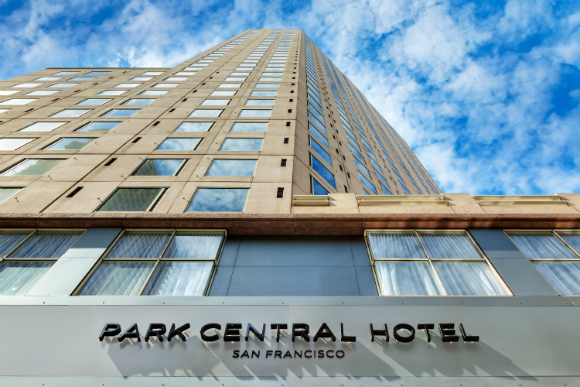 Park Central Hotel is centrally located in SoMA, on Third Street between Mission and Market Street. With its close proximity to Union Square and Montgomery BART station, this is a strategic home base for a weekend full of shopping and dining. 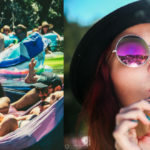 If you end up needing a midday nap, between a mimosa brunch and a day-full of shopping, then your evening outing and dinner—then you’re covered! No judgement. 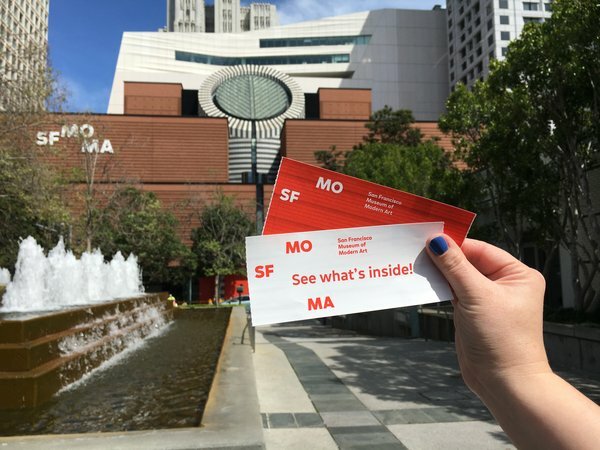 Within walking distance from the hotel is the SFMOMA. Use your free tickets to check out the new Edvard Munch exhibit, which runs through October, as well as the very latest exhibit, Soundtracks. While Munch has been making news, Soundtracks, which is the museum’s first large-scale group exhibition centered on the role of sound in contemporary art, is a must-see. For dining out, this staycation package offers two very different dinner options. Both are fabulous. It just depends on what you’re in the mood for. 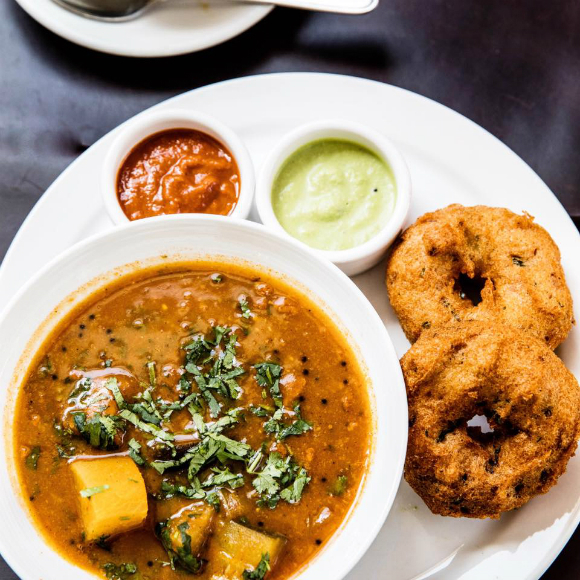 First up is DOSA, an award-winning hot spot for South Indian Cuisine. Immerse yourself in reach flavors and order some small plates. Don’t forget the signature samosas! 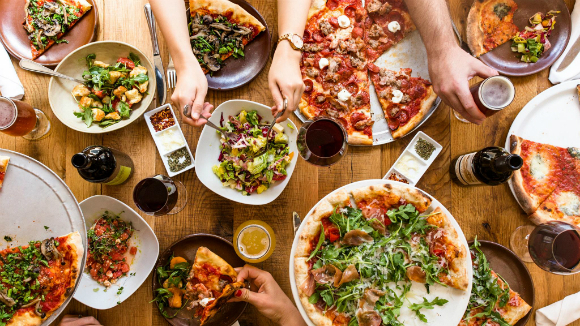 The second option is perfect if you’re in the mood to deep dive into some next-level pizza. The Rosenthal brothers, owners of this East Coast Italian eatery Jersey in SoMA, are up for the challenge of schooling us West Coasters on what “East Coast pizza” is all about. While we can arm wrestle all day over what “East Coast pizza” exactly is, let’s just skip that part and indulge. We’ll leave the menu-making to the professionals. Part of this giveaway also includes a tote bag from Mafia Bags. 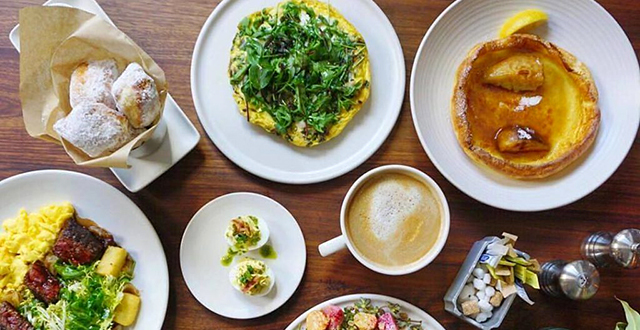 Another sibling team with a location in SoMA, is brother-and-sister business partners Marcos and Paz Mafia. 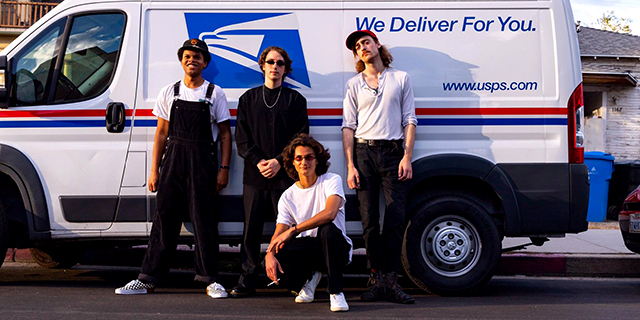 These two created Mafia Bags, a forward-thinking line of upcycled bags, based on their love of nautical sports and sustainable business practices. 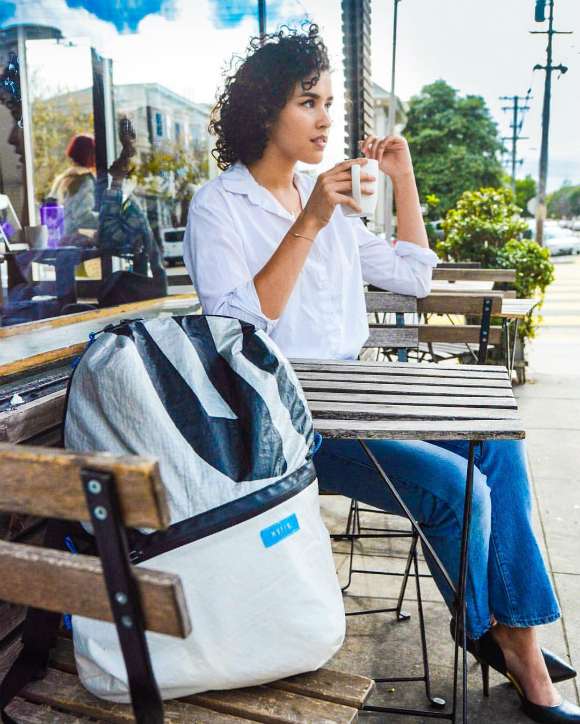 Mafia Bags have partnered with some innovative taste-makers to produce the line, including brands like Vans, Reef, SFMOMA, and the Stanford Design School. 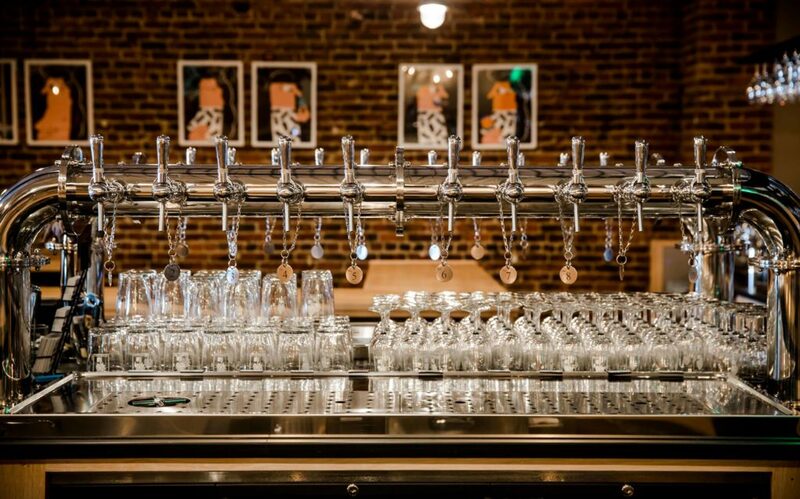 Beer fans will want to make a stop at Mikkeller Bar, especially those on the lookout for Lambics and sours. Their all-star lineup of beers include 40 taps, “from the best breweries in the world,” plus two cask handles, specialized bottle selection and exclusive house beers. There is something that will impress even the most seasoned beer buff. 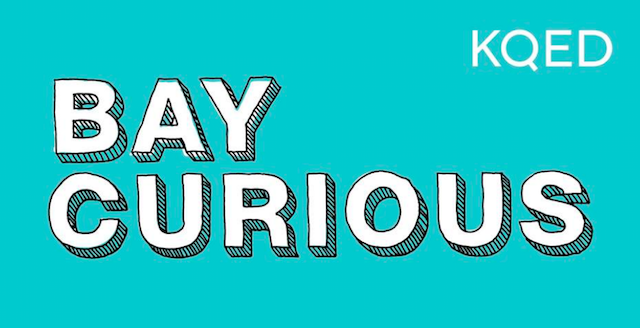 The playful artwork, done by Philadelphia-based artist Keith Shore, and seen throughout this ground-level hang out and across Mikkeller’s marketing is also worth noting. 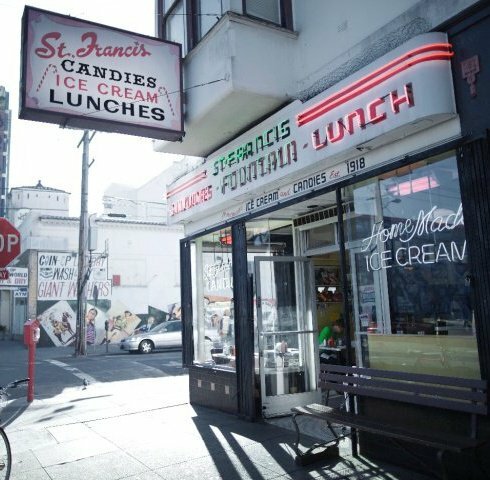 St. Francis Fountain opened in 1918 and holds the title as the oldest ice cream parlor in San Francisco. Their overall vintage look is both authentic and the perfect background for a hipster music vid–depending on you ask I suppose. The menu is straight-up classics but with an addition of a lot of veggie-friendly options. Again, a mix of old meets new school. The Guinness float and the “Nebulous Potato Thing,” which is a hefty stack of perfected-seasoned potatoes, topped with sour cream, cheese, green onions and salsa, is a heavenly brunch combo. 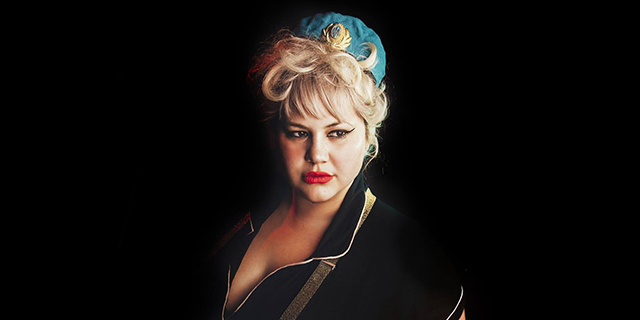 Evil Eye is owned by Matt and Piper Norris who have lived in San Francisco for over 15 years. 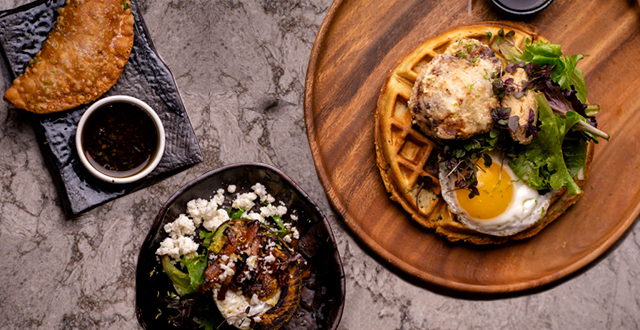 They’ve described their spot as “inventive cocktails and eclectic small plates in a laid back neighborhood bar,” which is pretty much spot on. Located close to the lively 24th Street area, but still a little farther out than the louder bars in this area, this lowly-lit establishment remains lively yet spacious enough for intimate conversation and elbow room. Their cocktail list is sure to impress and drinks come in vintage glassware for added personality points. 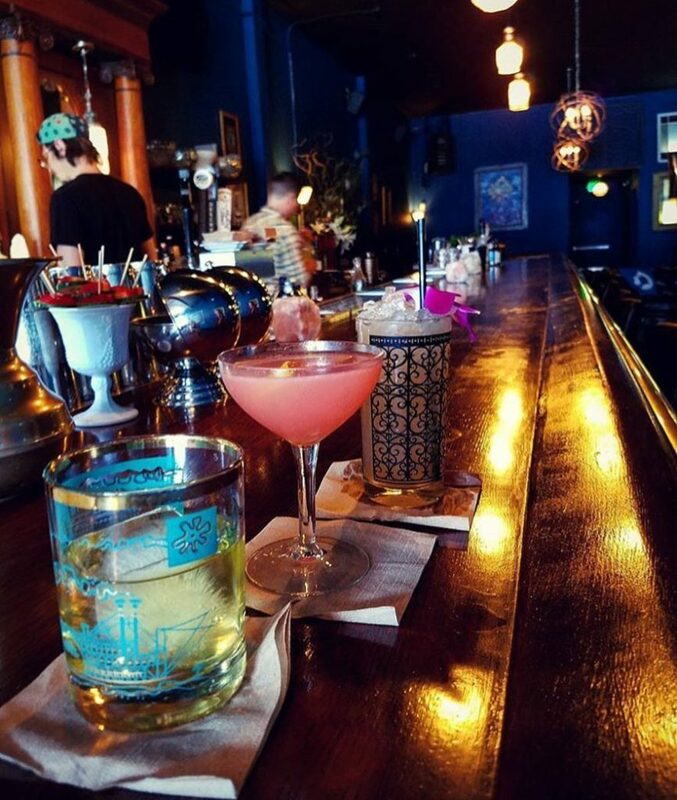 Urban Putt, Yelp: Dennis W.
While exploring local businesses, be sure to stop by Needles & Pens in the Mission. The shop was first established in 2003. They originally set up shop in a smaller location, also in the Mission. This was a tiny yet mighty space known for a huge variety of zines and for producing the kind of art shows that SF residents who were here ten years ago still get nostalgic about: like before all the artists moved to L.A., had kids, became widely-known, etc, etc.. Leaving the embellished L.A. ranting aside, (especially since the sister store is in SoCal! ), it’s worth noting that Needles and Pens has seemed to mature alongside their original audience. They now offer more coffee table books, handsome ceramics, and beautifully scented perfumes and candles. 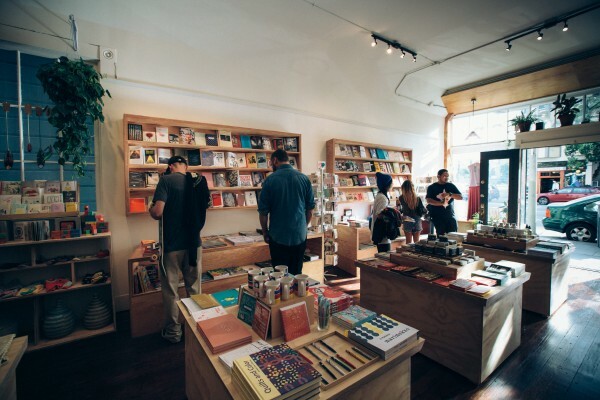 But true to form, they also continue to stock a selection of international and locally-made zines and small press titles, which keep fans coming back for more. Check their gallery page for info about their art openings. 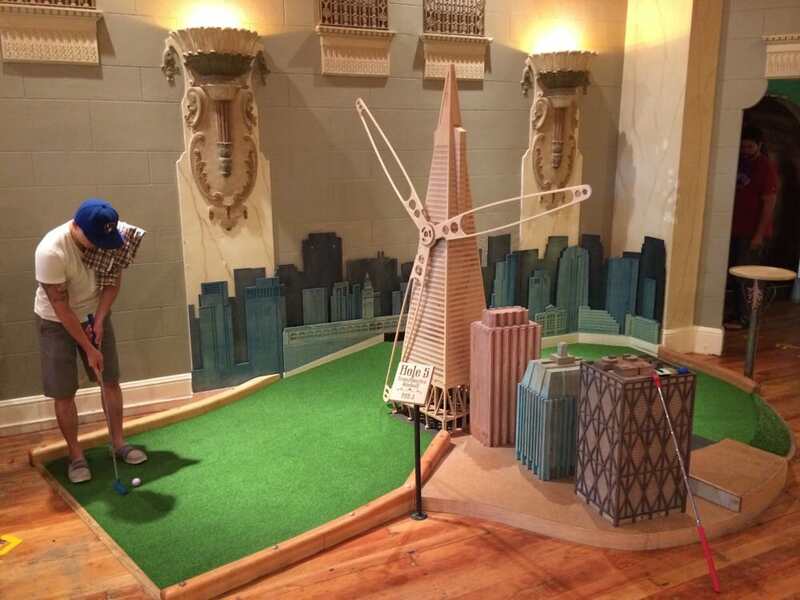 For some interactive fun, check out San Francisco’s first and only indoor miniature golf course, Urban Putt. The 14-hole course features some pretty imaginative setups: a submarine, underwater section, a tilt maze and a Rube Goldberg machine of sorts, plus the food and drink options are on par. 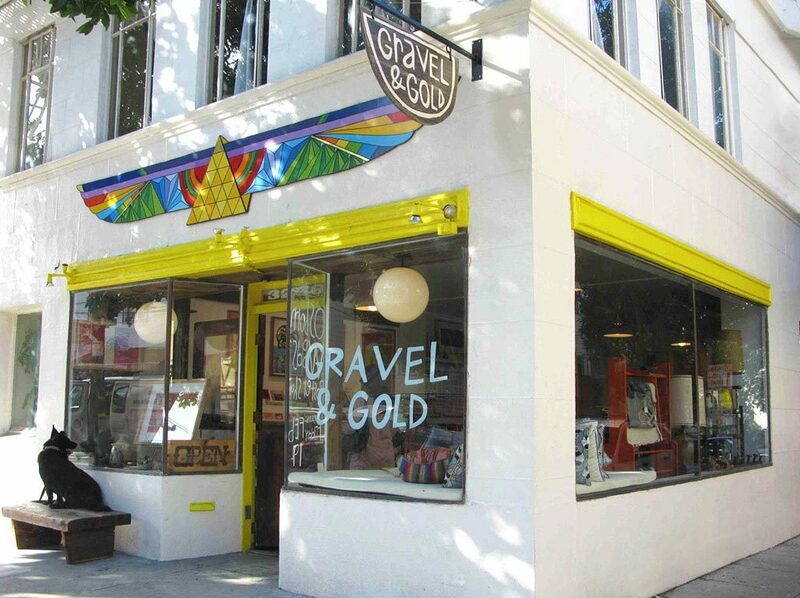 Gravel & Gold is an independent, woman-owned design collective that sells its own designs. Find a solidly curated collection of artist-made items, including clothes, zines, books and jewelry. This airy shop is browse-friendly. Find gifts that show you have impeccable taste and pick up a colorful throw for your apartment. Treat yourself! 5 winners will be chosen at random on August 1st.